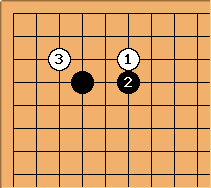 This gives an overview of 4-4 point low approach josekis that have a page (or several pages) on Sensei's Library. 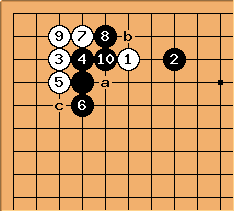 Note that some of the linked plays are not joseki. 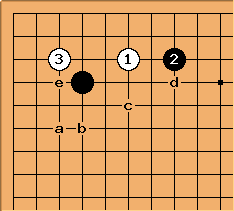 For each continuation, a standard sequence is given (this is one of the more common ones, but need not be the absolutely most common one), and an overview of pages dealing with that joseki and its variations. The low extension is the most common response since the 1990s. 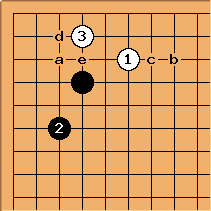 at d: Not joseki. See BQM 561 for more details. The high extension was the most common response until early 1990's. 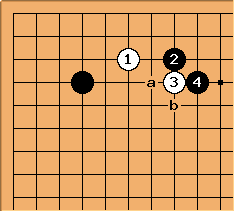 The large low extension is considered classical play but is still used in the right context. 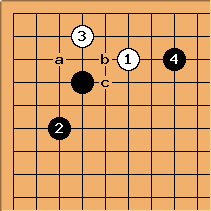 at c: Not joseki. Also discussed in Go bloopers. 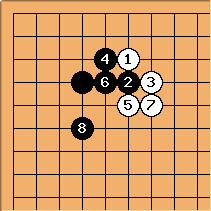 This situational move is possible as part of a moyo-building strategy if a side stone exists near the marked spot. 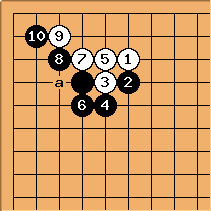 This move is generally played only when a pincer already exists around a. 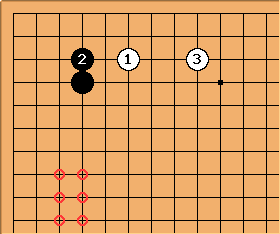 If the pincer stone doesn't exist, this move is not joseki. is an old hamete called, Drooping Lotus. It may be playable under certain circumstances. See Sanzi Pu or BQM 41 for more details. 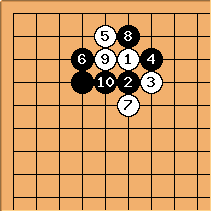 This move is not joseki. This is generally considered a special-purpose move. 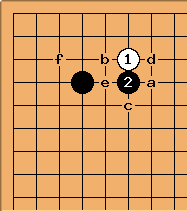 tapir: This is extremely rare without supporting stones along the left side. 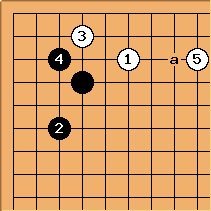 For comparison look at the 3-4 point joseki below. 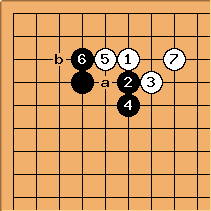 It is somewhat similar, but unlike the 4-4 stone the 3-4 stone already closes the door to the corner. is the most common answer to approach to .